Welcome to Jail Break Rush, the game of escape from prison without being detected. You have been locked up in jail being innocent and now you must escape from prison before being transferred to a maximum security prison. Remember that nobody can see you as you leak! You'll have to find a way to get away from prison as soon as possible before it's too late. If you prefer you can play it in the APP or on any device with an Internet connection. Have a good time escaping from the bars. 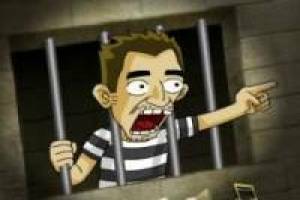 Enjoy the game Jail Break Rush, it's free, it's one of our Escape games we've selected.